A weekly celebration of our awesome Adopt-a-Beach volunteers! A baby, bundled up. A toddler, picking up plastic before constructing sand castles. High school youth groups. College sorority sisters. Religious group Sisters. 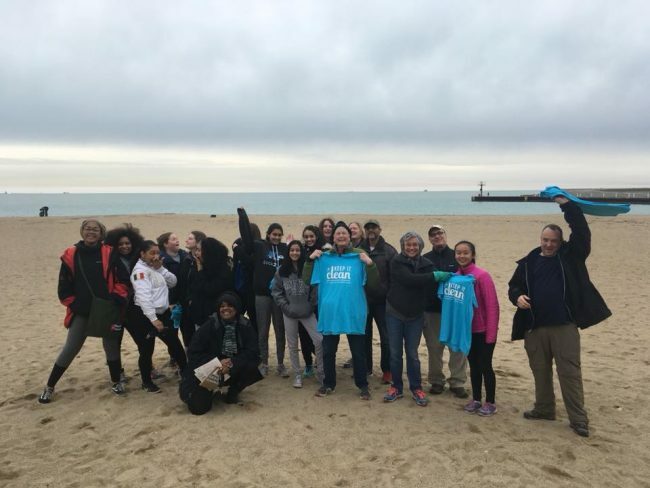 The Earth Day cleanup — the 6th Annual Honoring Our Sacred Waters Urth Day Beach Cleanup — hosted by Sacred Keepers Sustainability Lab at Chicago’s 31st street beach was an intergenerational affair. According to Sacred Keepers Executive Director Toni Anderson, water is “the thing that connects humanity, because all humans need it to live.” Earth Day is all about taking action to protect natural resources for future generations. And, the self-proclaimed “passionate treehuggers, mad scientists, stargazers, activists and culturalists” comprising the Chicago-based nonprofit are united in the same mission: teaching our youth to inherit the earth. Anderson describes Sacred Keepers Sustainability Lab as “an organization dedicated to teaching our youth and communities to inherit the Earth.” A component of Sacred Keepers’ value system holds that consensus and collaboration for the good of the mission is a necessity in their efforts to achieve it. The group applied this principle at their Adopt-a-Beach cleanup and Earth Day celebration. 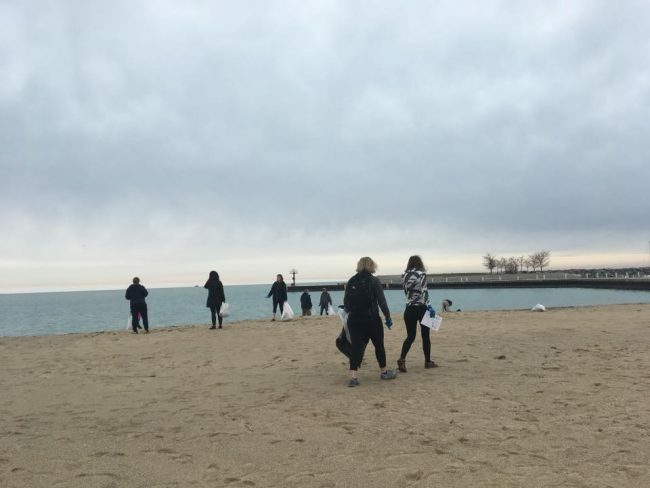 For the event, they gathered at Margaret T. Burroughs Beach to “commune, love and learn at the city’s lakefront,” said Anderson. Every year since it was founded in 2012, Sacred Keepers Sustainability Lab has cleaned up this beach. The group’s choice of location is meaningful. The 1919 Chicago Race Riot was sparked by an incident at 31st Street Beach. In 1919, white beach-goers showered black teenager Eugene Williams with stones, and he ultimately drowned. He had drifted across an imaginary boundary line denoting the end of the water’s “colored section”of the segregated beach. Many years later, the beach was renamed after Dr. Margaret Burroughs, an artist and activist from Bronzeville who founded the DuSable Museum of African American History. Sacred Keepers Sustainability Lab’s SKY Council – Sacred Keepers Youth – joined the cleanup and explored the history behind their local beach. Scouring the beach for litter and plastic pollution. Sacred Keeper’s event focused on the city’s precious freshwater resource and urged participants to give thanks. Connecting people to places in the community rich in culture is at the heart of Sacred Keeper’s annual Earth day clean up. And we thank Sacred Keepers Sustainability Lab and all of the volunteers who participated for a great event! Plastic pollution is a big problem on Great Lakes beaches — just ask our Adopt-a-Beach volunteers. 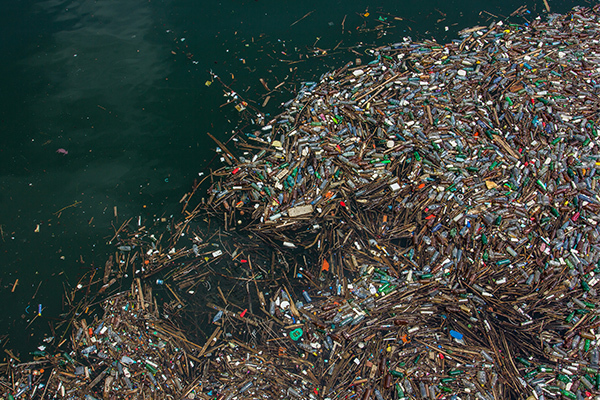 But you can help stop the flow of plastic into the Great Lakes. Sign the Plastic-Free Great Lakes pledge today!